Alpharetta Subdivisions: Search homes for sale in Alpharetta Subdivisions. Alpharetta Georgia: Home buyers - search for houses and homes for sale by Alpharetta Georgia subdivision. Alpharetta homes and listings for sale. North Fulton County homes. There are plenty of great places to call home in Alpharetta! We have loads of great subdivisions! Alpharetta has million dollar county clubs, and single family cluster homes! 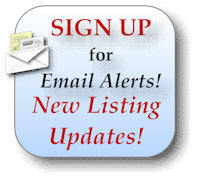 If you are buying a new home or a resale, selling your existing home, or relocating to the Alpharetta area call us! Our experience will move you! We are experienced Alpharetta REALTORS®, seasoned residential real estate agents, serving Alpharetta, Crabapple, North Fulton, Peachtree Corners, and South Forsyth County. Jim and Ellen Crawford of RE/MAX Paramount Properties specialize in service! * If no homes appear for sale on the links below none are available for sale at this time!